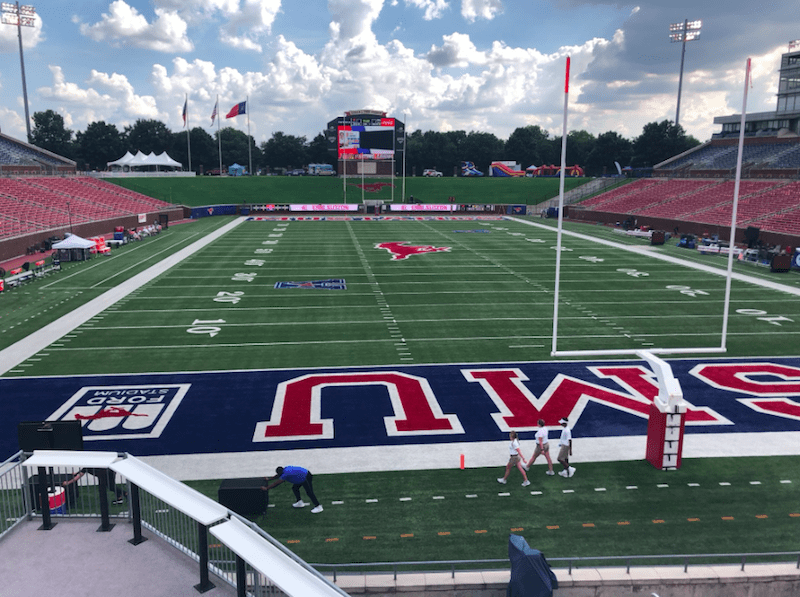 The weather didn’t stop SMU from debuting the new student deck experience,The Stables, at its first home football game on Sept. 7 at Gerald J. Ford stadium against the TCU Horned Frogs. The fun shouldn’t stop at the beloved Boulevard, and this season it won’t. The new student deck “party platforms” are unique to SMU. SMU is one of the only schools in the country with this style of student section. There are lots of fun new opportunities for students attending the games with sectional sofas and high top tables. This section is exclusive to students, and students are exclusively allowed into the section with color-coded wristbands. The Stables and the student body were ready for kickoff at 8:50 p.m. following a two-hour rain and lightning delay. 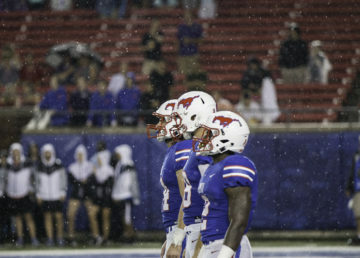 The Stables held enthusiastic and wet students from kickoff to the final seconds of the game–a different Friday night lights experience than anticipated. New head coach Sonny Dykes has been working with student organizations to find why SMU students don’t attend the football games, and the atmosphere might just be the problem. Coaches and administrators are not the only ones seeing the need for change. Students such as former cheerleader Zachary Wilson are ready for more participation at sporting events. While many new students were excited for the change, many returning students seem to be missing the standard stadium seating for reasons such as how the section is broken up and how there is limited viewing of the game. 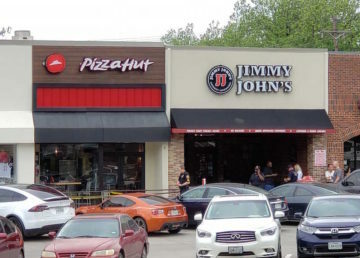 Student opinions may change as organizations sponsor more incentives to increase game day attendance with 5 more home games. The Mustangs take on Navy Saturday Sept. 22, 2018.